Well summer sure flew by in an instant, didn't it? It seems to have gone by so fast that I barely had time to keep you updated on the goings on at My Daughter's Cakes. 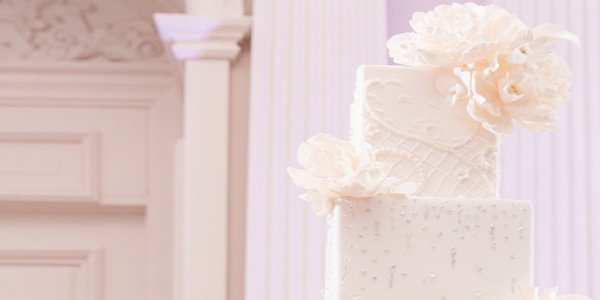 So for the next few blog posts I'll share with you some of our beautiful cake designs from the past few months. One of the cake decorating techniques that is very popular is hand painting. Hand painted cakes are beautiful and add an interesting dimension to a cake design. Even though paint is, in some respects, 'flat' against the cake, there is slight texture. 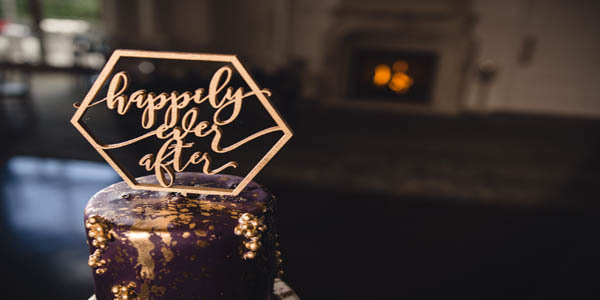 Hand painting is also a great way to express your individuality as a couple, and a way to incorporate your personal interests into your wedding cake. 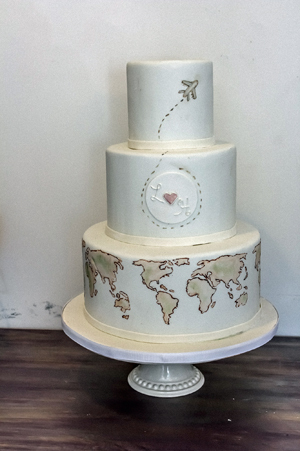 Lucia and Hanna love to travel and their perfect wedding cake incorporated their love of traveling around the world. Their wedding style incorporated some whimsy along with a bit of soft vintage and rustic touches. The pale taupe and soft moss tones were perfect for their theme. A very small touch of rose gold in the monogram added a lil' something special. We thought it would be so cute to have the airplane treads encircle their monogram - just a further nod to where their love will take them in life! Of course, the quickie and grainy cell phone shot before delivery does absolutely no justice to this cake. 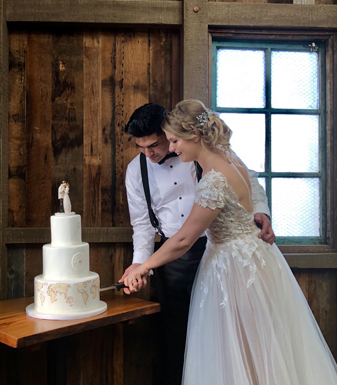 You need to check out the professional photograph below to really appreciate the cake and style of our gorgeous and adventurous couple! We delivered this beauty to The Barrow House in Clifton, New Jersey. This was our second time delivering to that restaurant. The staff is incredibly nice and accommodating. I haven't had an opportunity to eat there yet, but if the scents coming from the kitchen are any indication then I need to get there soon! 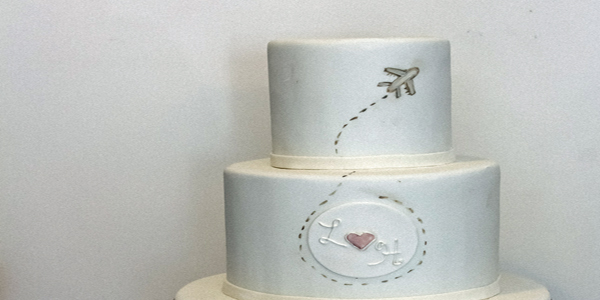 Are you looking to incorporate some of your personal interests into your wedding cake? I'd love to show you how to do that! 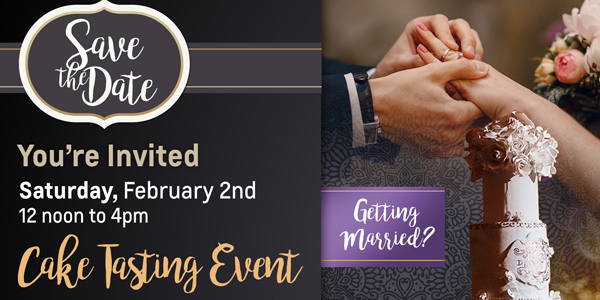 Let's start that conversation here!